E-mail is nearly as outdated as the memo, right? So why would you use e-mail to get more patients? The truth is that although it’s often touted as “obsolete” next to a million other social networking activities, the personal e-mail is used quite predictably by the majority of the population. According to the Bureau of Statistics’ Time Use Survey (2014), the average American spends 33 minutes daily on personal and household e-mail. E-mail is used increasingly for particular functions, such as receiving updates, storing important data, and accessing contact or schedule information. The healthcare industry has been notoriously behind when it comes to communications technology. Only now, many medical offices are catching up with the communications technology that other types of businesses started using over 20 years ago. So why should doctors or other medical care practitioners consider using email to get more patients? Medical practices often deal with the frustration of missed calls, too many voicemails, and the increasing difficulty of getting ahold of a person with a busy schedule. 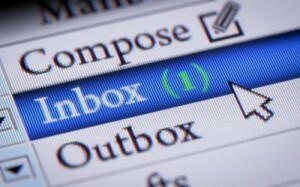 Email allows a patient to receive a message on his/her own time. Although doctors could worry about being required to do tasks that they aren’t compensated for, consider that doctors do the same when they have to make calls to patients–which often includes discussion and consultation on the part of the doctor. The problem is, the patient may forget or not understand what has been said, and the doctor has no way of knowing that. Sending an e-mail changes the situation by giving the patient a summary in writing of the diagnosis and recommended steps for treatment, which he or she can then check back on when memory doesn’t serve well. Although a major complaint against e-mail has been the lack of privacy, it’s important to realize that ANY form of communication can be overheard or exposed–files, phone calls, etc. For a doctor to begin the use of e-mail with a patient, a consent form ought to be used or included with other paperwork so that the patient has a choice about how to be contacted. Many patients will be relieved to receive reminders of their appointments through e-mail, for example, but never thought of that possibility. E-mail privacy can be protected by encryption of e-mail messages or through secure message applications using an online application. Considering that all patient information is accessible through a computer now, using e-mail for the patients who consent to it does not seem quite so untenable after all. Why wait? There are many ways you can improve your communication with your patients now with a system that will end up being a time-saver rather than a time-waster. The Health Affairs study showed that while e-mails into the office increased with first use, that figure went way down over time as patients relaxed. You can use e-mails to get more patients by making yourself stand out as a superlative doctor in a medical world where few are using this simple tool to ensure quality communication. If you’re interested in exploring this possibility or have your own ideas about it, call us at Farotech (267-287-6220) or email info@farotech.com. We’d be happy to help you get you started. What’s the Deal with Google’s New Call-Only Campaigns?